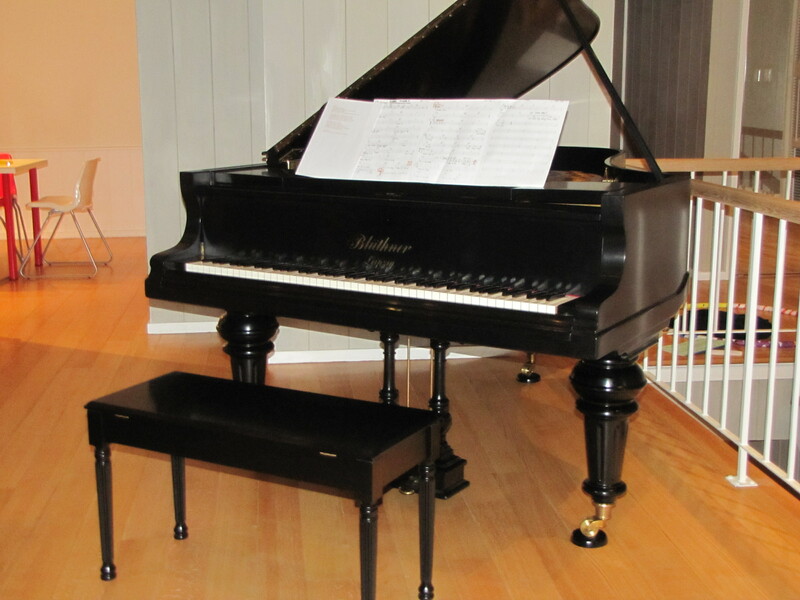 Our new piano has arrived, and it’s beautiful. 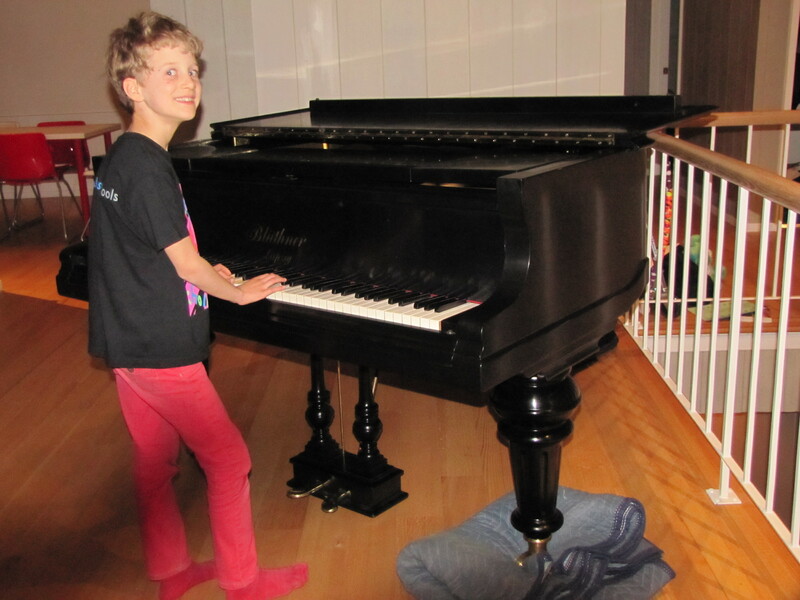 It’s a Bluthner 6′ 3″ concert Grand made in 1895, so we’ll be treating it very gently. Apart from when we play marches. Max couldn't even wait for it to be set up properly. It's still got a moving blanket under one leg. And it really is lovely. And it does sing. And has an amazing sustain. And a beautiful, rich sound. Unfortunately, it’s raised the benchmark here, and the temporary furniture is no longer cutting it. We need our sofas from the container. Meanwhile, I’m off to test-drive Beethoven’s Moonlight Sonata on it. Gabriella's playing Taylor Swift's "Love Story", which she's learning in her singing lessons and intends to perform at the Talent Show (a bit like the Dunnie Awards) in 3 weeks. 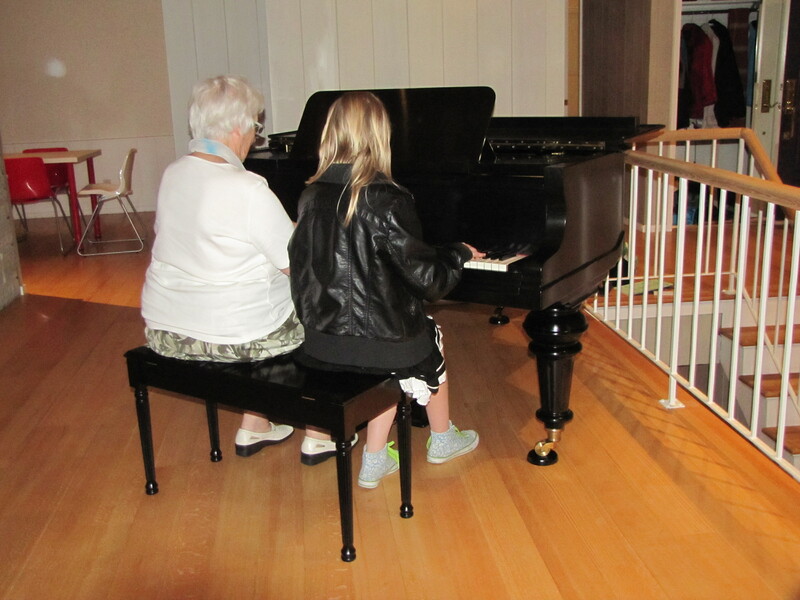 Barbara and Gabriella playing together. 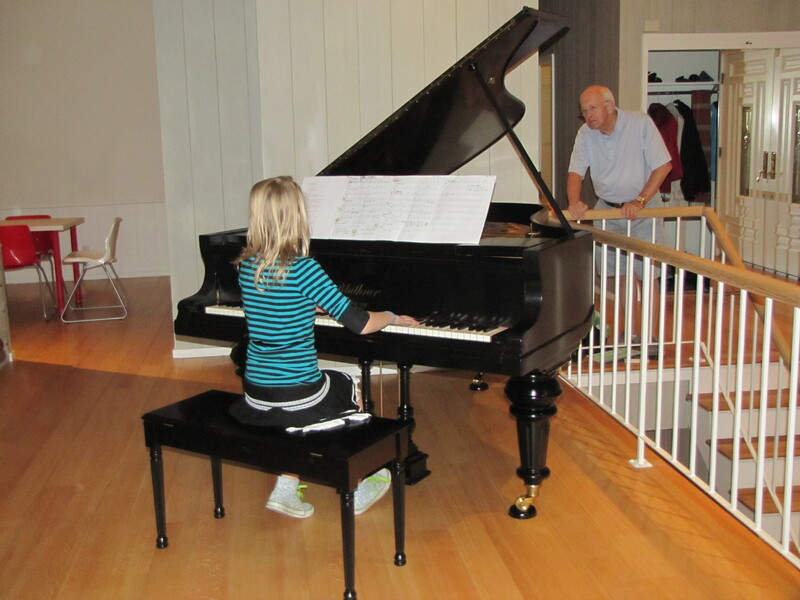 A cross-generational past-time.